A reader hit me up with a question about calorie counting. Basically, sharing with me that for her goal of losing a couple of pounds a week, there’s information all across the Internet saying to shoot for a goal of 1200-1500 calories. That’s all well and good, but… what if that’s what you were eating before? How do you take in 1500 calories? Where do you go from where you are now? Let me explain what calorie counting is, and what it does for a person. Then we can get into appropriate calorie numbers. First, the constants. What I mean by “constants” is the concepts that will be the same no matter WHO you are, how much you weigh, how tall you are, how much you want to lose, or how active you are. So far so good? Pounds. Three thousand five hundred (3 500) calories is equal to a pound. What this means is that for every 3500 calories you burn, you will have burned a pound’s worth of energy. Weight loss. 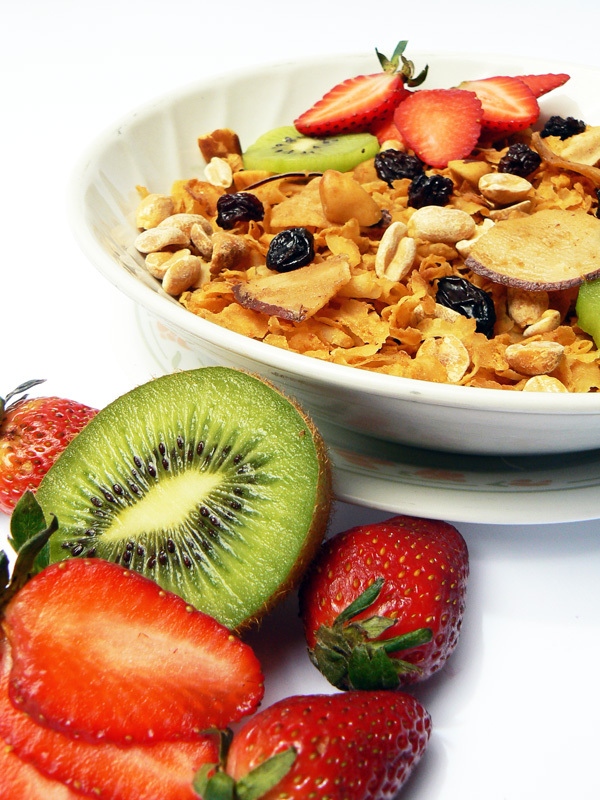 Weight loss is absolutely about creating a deficiency in calories taken in so that there is an excess of calories burned. No matter how you managed to find yourself overweight, the bottom line still stands – we will all lose it the same way. Calories. We all eat different amounts! Why? Because we all weigh differently, live in different climates, and our bodies react differently to certain calorie levels. To the person who might be burning a ton of calories but yet is still eating more than she’s burning per day, to the person who may have a great day with calorie levels only to follow it up with a day horrible enough to ruin three good eating days. We all are in the same boat, we all got there the same way (eating more than we burned,) but where we’re coming from will differ. Weight loss. After a very long back-and-forth debate with a visitor, I’ve learned that some of us are simply beaten. For one reason or another, we believe this struggle is much more difficult than it actually may be, and that’s without trying it the old-fashioned way. Our 40s, 50s, and 60s babies didn’t have to fight demons like this, because their food was actually food when they were in their 20s and 30s. Their portions were smaller… so it was nothing to “clean their plates.” Their dishes were more wholesome. They weren’t devouring 7-layer dips, or pound-sized bowls of pasta when they went out to eat. They simply were unequipped to handle the struggle, and so we’re all left feeling a little helpless. We all are a bit clueless as to why we’re less healthy, why we can’t get this burden off our backs, and how we can successfully lose these last few nagging pounds. Having said all that, now I think we’re ready to get down to business. Am I Throwing Away My Food Too Soon? You’re very right! I thought long and hard about what you said, and in an upcoming part of the series, I directly address that issue that you brought up. I hope that you follow along and catch it, it’s kind of interesting. Can’t wait for the rest of the series!! First, what a great looking website. And, you’ve done a good job educating us to the basics..darn, they haven’t changed! I do agree with all you’ve said, especially about the “food journal” with the calories down at the time you eat them, so there’s no forgetting what went in the mouth. Sighhh!! No magic pill!! Just common sense & a commitment to a life change. I’m liking this series. I look forward to reading more of it. I wonder…what is your opinion of Weight Watchers vs. Calorie Counting. 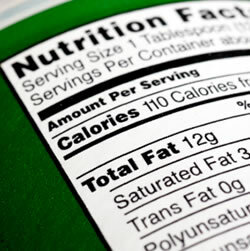 I have learned that reading nutrition labels with the calorie count is better for me. After going through ten dietitians where they gave me larger serving sizes of food because I was vegetarian. After calorie counting again I learned that 1 cup of cooked grains is up to 340 calories according to the package. The meal plans were 2500 calories. During this time they gave me a book for intuitive eating. Then after that they said because I am vegetarian and have large muscles I would never lose weight. Well according to the gym I have more body fat than when I started with them. I stopped going to them in June. My doctor told me to follow the serving size when I cook so I learned that 2oz of dry pasta equals 1/2 cup cooked pasta. Even though my doctor wants me to try someone else, I will be counting calories to see how much food I am being given. Not sure how much calories I should be eating right now. I must admit I don’t trust dietitians right now!! Erika, I have the stickiest situation here with my weight loss, I no longer have a thyroid; I had a full thyroidectomy back in 2009 and to boot I have oral allergy syndrome. I would LOVE to eat raw fruits and veggies like other folks, but my palette & throat (literally) doesn’t allow me to do so. I can eat apples (if I peel the skin off, but it burns my stomach), I can do veggies once they have went through some type of process (microwave, steamed.) I then on top of all of this other craziness get super gassy, which is so so gross (and I’m married), but it is what it is. With my thyroid issues, my joints CONSTANTLY hurt, I’ve got on the good foot with working out a couple times but wasn’t seeing progress like I wanted. I’ve been told by my doctor that it was going to be almost impossible to lose weight (THE DEVIL IS A LIAR) and I do not want to accept that. I understand that you are not a physician, but I am tired of THIS!!! I am 36 years old and I feel sooooooo old because I am over-weight. Do you have any advice about the oral allergy syndrome (maybe you know someone who has suffered from it), do you know of how I can push past these joint issues, and with me not having a thyroid was my doctor right about the weight loss? I don’t want to do the surgery, but I also don’t want to feel like I am 50 years old because I am over-weight either. P.S. Did I mention that I love bread, pasta & cheese?!?! My suggestion would be to speak to a registered dietician and a dermatologist: the dermatologist can advise you on how to better manage your allergy, and the RD can advise you on how to eat healthily even though you have allergic reactions to some of the very foods you need. The two of them would need to operate in tandem with one another in order to get you where you want to go.